The Internet and tourist facilities are also part of critical infrastructure. The UN Security Council has adopted Resolution No 2341 (2017) on strengthening protection of critical infrastructure against terrorist attacks, which was tabled by Ukraine. The resolution calls on the UN Security Council member states to introduce criminal punishment for acts of terrorism aimed at destroying or disabling critical infrastructure as well as for planning, preparing, financing and supporting such attacks.The resolution mentions the Internet and tourist facilities as part of critical infrastructure. The meeting was chaired by Ukrainian Foreign Minister Pavlo Klimkin. 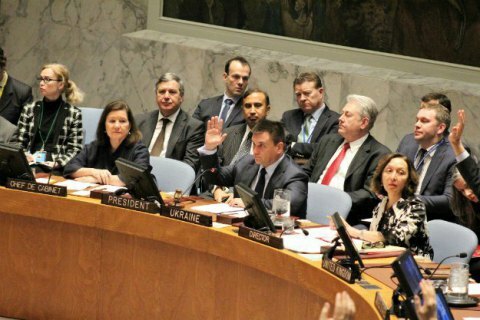 Ukraine is presiding in the UN Security Council in February.